The way most people see it, engineers and their practices have been encouraged for the reason of benefiting the society since we are constantly interacting with our environment. It is the role of the engineers to minimize the damages brought about on the ecosystems and developing necessary infrastructures that are both efficient and safe. 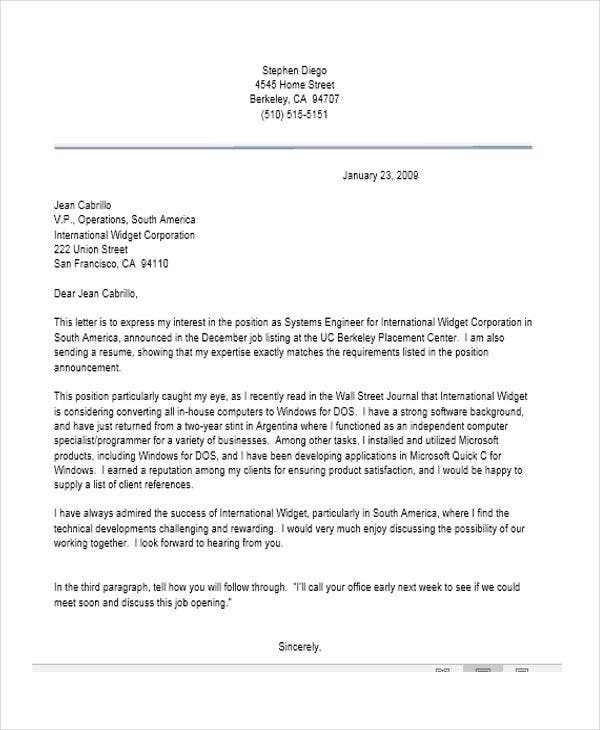 Engineering is so important because it is needed everywhere. Without engineers, doctors wouldn’t have the equipment they need to scan the body and create images, scientists wouldn’t have the microscope to look at microorganisms, and other professionals wouldn’t be able to do a lot of things without their respective equipment. 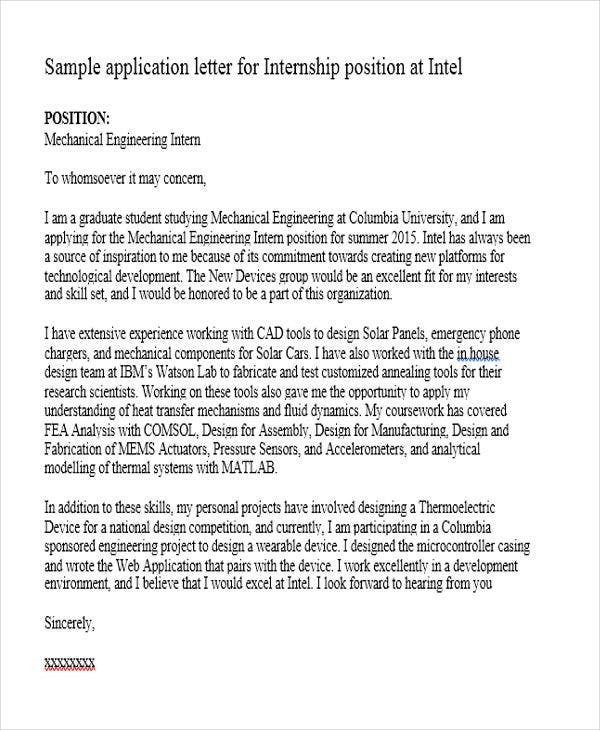 If you want to be part of this prestigious group of literal nation builders, check out these Application Letter samples for engineers. An engineer is a profession that designs different materials, structures, and systems while considering the limitations imposed by practicality, regulations, safety, and expenses. 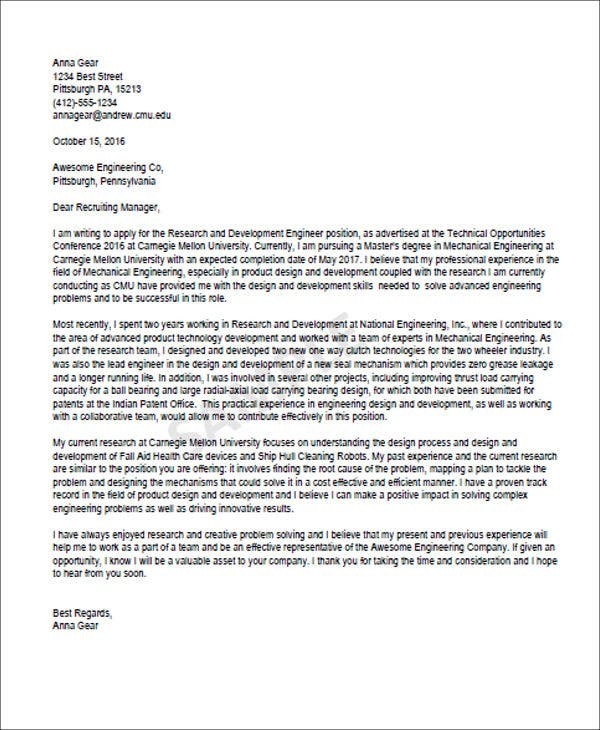 They assume the responsibility for the development and application of engineering science and knowledge, notable in research, design, construction, manufacturing, managing, and in the education of the engineer. Language. 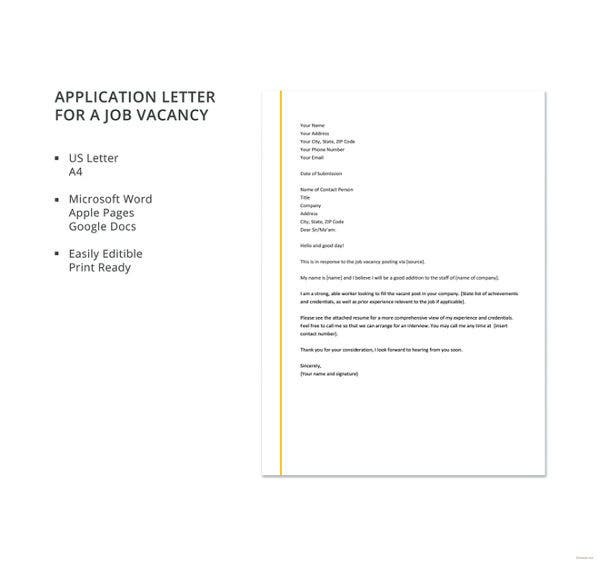 Check over the spelling and grammar several times as misspellings and typos on an application letter can eliminate the possibility of getting an interview from the company. Format. 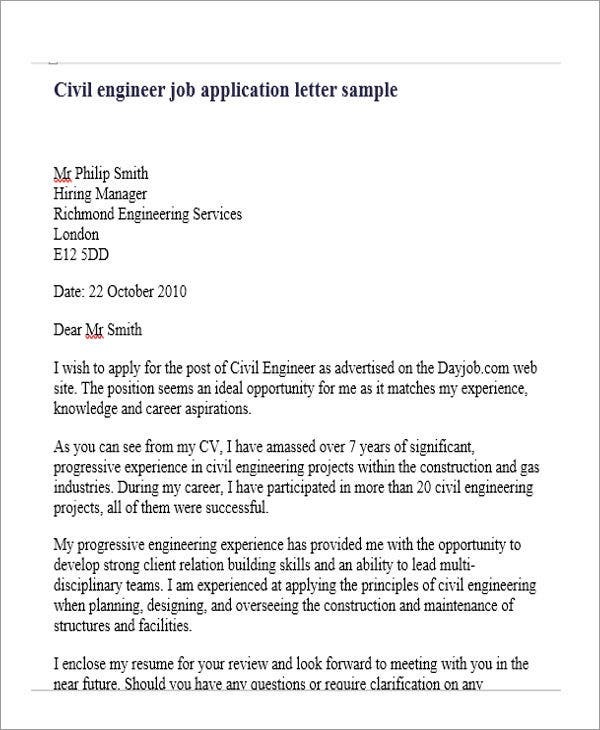 The cover letter should be brief, not longer than one page in length. Typically, three or four short paragraphs are adequate. 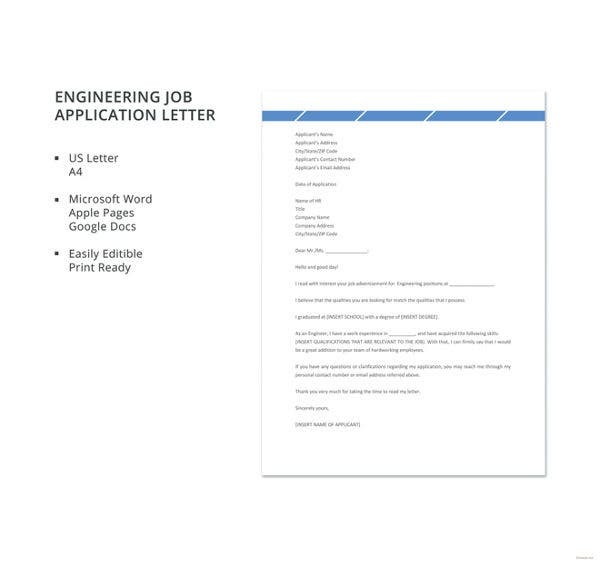 Keep your application letter looking professional and use a standard font and avoid from using bold and underlined text. Content. 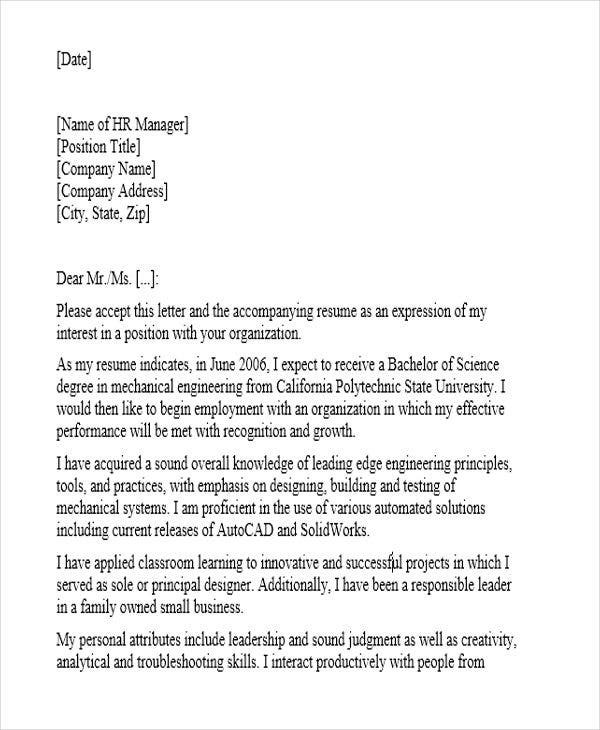 State on the letter that you have the knowledge and skills necessary to fulfill required for the position. 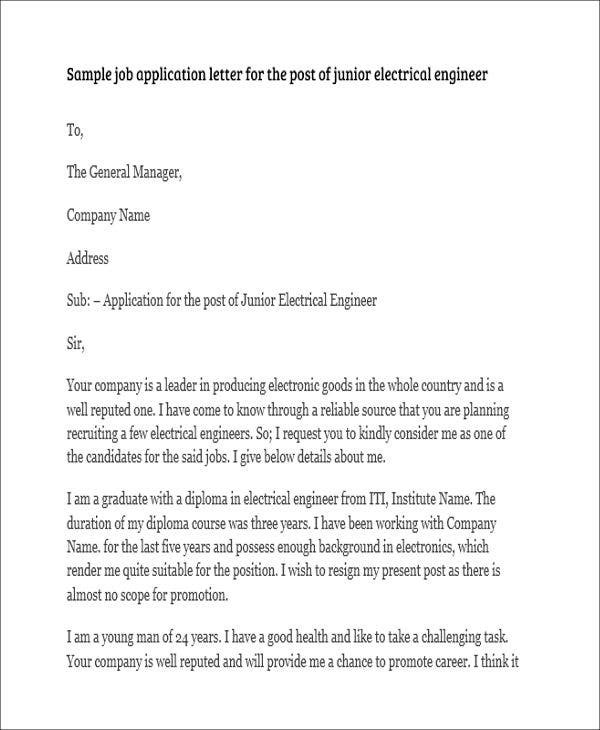 It will avoid the appearance that you have sent them a generic cover letter, which could have been sent to other companies for almost any position. 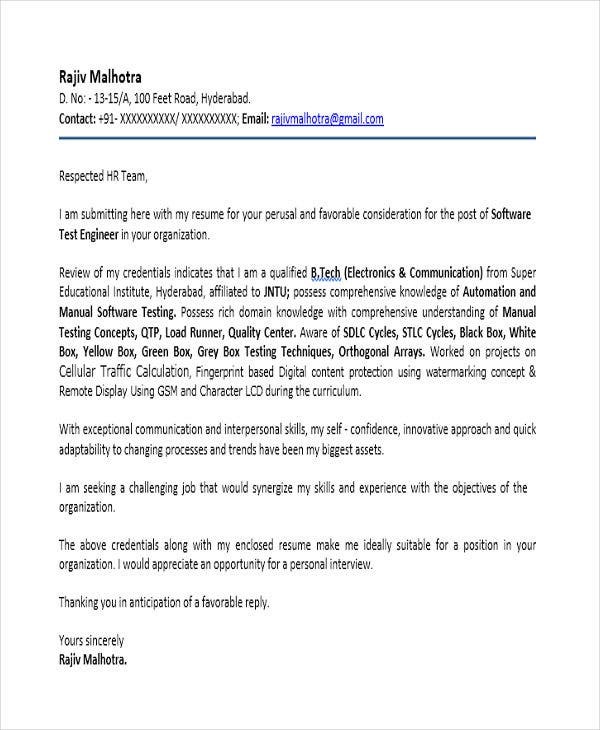 If you are responding to an advertisement, make sure that you address all of the qualifications mentioned on the advertisement. Convey that you can add value to the organization and associate the company’s services with your capabilities. As much as possible, avoid making the common egocentric mistake of describing why the position would be good for you. Companies are interested in how your skills, abilities, and ideas will benefit them. 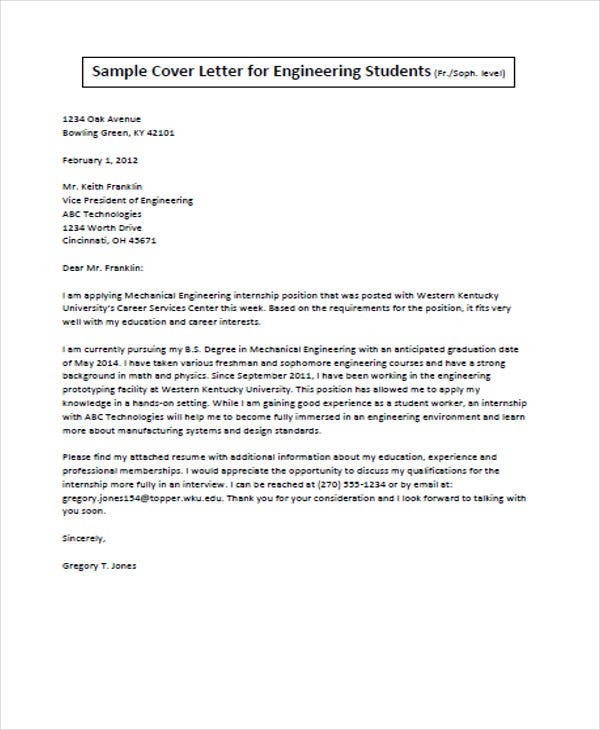 Lastly, close the sample cover letter by taking the initiative and requesting for an interview. List your contact information for follow-up purposes should the hiring manager decide to call you back. 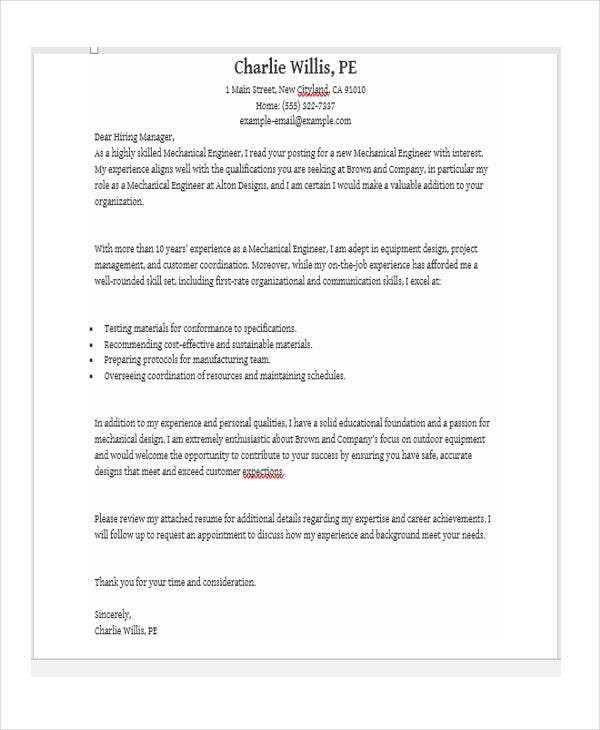 These templates were selected from among the best ones on the web and were written by knowledgeable professionals. 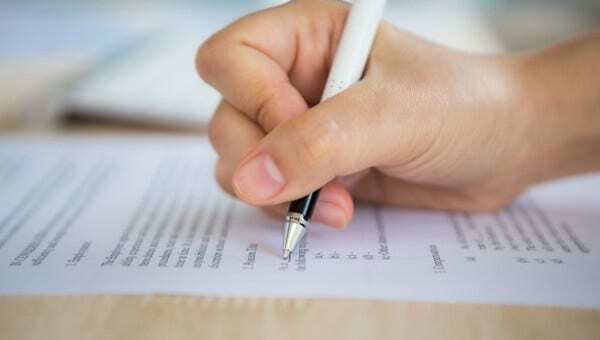 You may be able to download these templates easily and for free, and you can choose to save it in either Doc, Docx, or PDF format, depending on which one suits you. 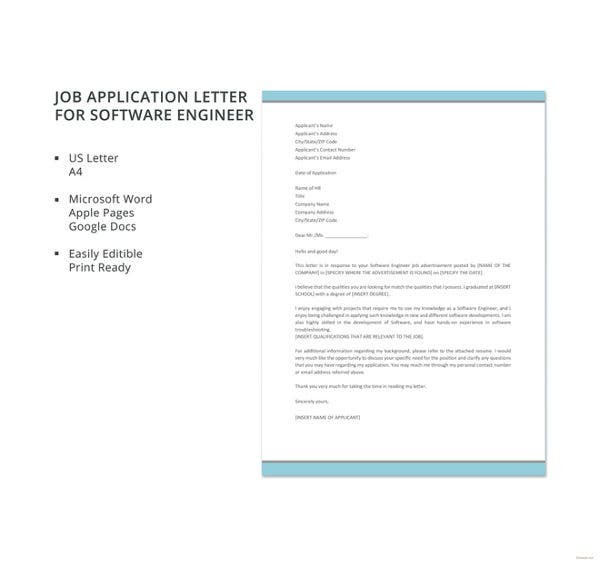 These templates are fully editable as long as you have the needed software such as MS Office and Adobe Acrobat.